The following are excerpts from e-mail correspondence sent between 47 ABC’s Emily Lampa and CDC Press Officer, Candice Burns Hoffmann. Emily Lampa: Is CDC Director, Dr. Thomas Frieden available for an interview? If Dr. Frieden declines this interview, I would be willing to interview anyone he appoints to speak in his place. Candice Hoffmann: I’ve checked and Dr. Frieden is not available for an interview. Also, many of our Lyme disease experts are working on the Zika response or are out of the office this week, so it would be best if we could respond in writing to specific questions. Emily Lampa: Just to be clear, the official response to my media request, from the Centers for Disease Control and Prevention, is that there is *no one* at the CDC who is available for an on-camera interview? Over the next 2 weeks, there is not one individual considered to be a CDC “Lyme Disease Expert” who can set aside at least 30-minutes in their schedules to answer my questions? Candice Hoffman: We appreciate your interest in Lyme disease and we hope you find the statement below helpful in your reporting. At this time, we respectfully decline your request for an on camera interview. Lyme disease poses an enormous public health burden with over 300,000 cases diagnosed and treated each year in the United States. The disease can sometimes be misdiagnosed, thereby delaying treatment. Even with proper treatment, some people may suffer from Lyme disease-related symptoms for weeks or months after treatment has ended. Promoting early and accurate diagnosis and treatment of Lyme disease is a high priority of CDC’s Lyme disease program. CDC scientists have reviewed the best available medical literature on the diagnosis and treatment of Lyme disease and have posted that information on the agency’s website. Emily Lampa: I’m interested in an update on Lyme Carditis. The last time this information was updated on the CDC website was last year – with a report from 2013 about 3 reported deaths. 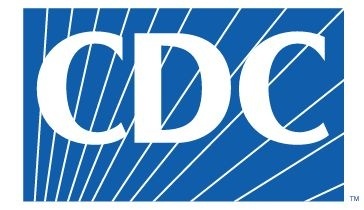 Does the CDC know if anyone else has died since 2013? Candice Hoffman: Earlier this month (April 2016), a paper describing two additional cases (five total, including the three cases described in the MMWR) was published. CDC is not aware of additional deaths from Lyme carditis. The content on the Lyme carditis web page remains relevant. Emily Lampa: Is there any information on the CDC website about Alpha-Gal? Does the CDC recognize this as a disease? Candice Hoffman: At this time, there is no information on the CDC website about Alpha-Gal. As reported in the literature, the association between the salivary proteins from ticks and meat allergies appears to be immunologic in nature, rather than infectious. We find the results interesting, but cannot comment on the work as it was not done here. CDC’s expertise in ticks is primarily based on the pathogens they carry that cause illness in humans. Two other federal institutions (NIH and NIAID) do research relating to immunologic/allergic disease processes, and independent academic researchers also work on these issues. They may have researchers with more subject matter expertise on this topic than we currently do.